We offer great value coach holidays to historic Canterbury with opportunities to visit the delightful seaside towns of Whitstable, Herne Bay and Folkestone. 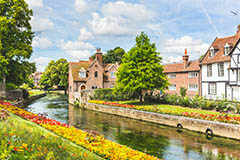 Canterbury is world famous for its cathedral, the home of English Christianity, heritage and culture. Not far from Canterbury there are delightful coastal towns of Herne Bay and Whitstable offering family-friendly beaches and a relaxing stroll around Whitstable harbour. 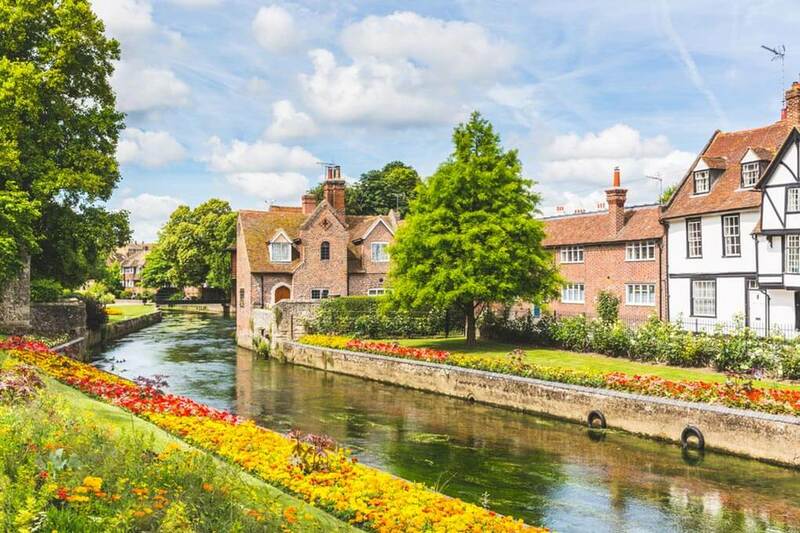 Canterbury is surrounded by beautiful countryside where you can walk or cycle through ancient woodland and next to meandering rivers. You can embrace the sea air and enjoy the traditional charms of the seaside towns of Whitstable and Herne Bay and walk or cycle along coastal paths to Reculver Towers and Roman Fort. Dating back to 597 AD Canterbury Cathedral is the seat of the Archbishop of Canterbury, the Chief Primate of the Church of England. This is the oldest church in England still in use as a parish church, and it forms part of the Canterbury World Heritage Site. This church was the first base of St Augustine when he came to Canterbury in 597. If you cannot find a suitable coach holidays to Canterbury contact us and let our experienced travel agents help you find your perfect coach holiday to Kent or any other destination in England.